Some research suggests that some teens and young adults have questioned if they are transgender based on what they experience during puberty. 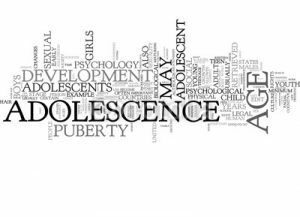 Let’s talk about the common symptoms that occur during puberty that can influence an emerging teen to wonder about their gender identity, when it hadn’t been a question before. Your body grows at different rates so you are out of proportion and don’t look or feel normal. You sweat, stink, have oily skin, and acne. You start periods or start to experience nocturnal emissions. Hair starts popping up in all sorts of fun places. You get more muscle and fat – guess who gets more muscle and who gets more fat? Friendships become far more complicated than just having someone to ride bikes with. Emotions feel so much more intense! Yikes! Everything that made sense before gets complex and messy. It seems like everything you do, wear, say, or like says something permanent about who you are as a person. You fight with your parents and siblings more. You want to be treated like an adult. You just want to be alone. You just want to belong. 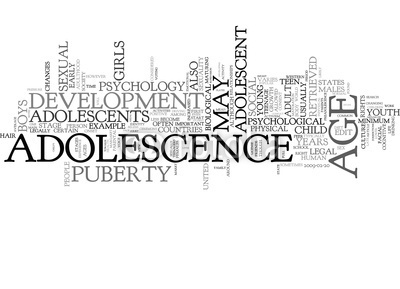 Importantly, in puberty, you experience the most amount of sexual differentiation since before you were born! This means it becomes clear that you are girl or you are boy. Combine becoming boy or becoming girl with feeling all sorts of uncomfortable. What if all this is going on and you’ve always felt like an outcast? What if all this is going on and you’ve been sexually abused or molested as a kid? What if all this is going on and your parents are fighting a lot and talking about divorce? As you develop into being girl or being boy, it can be tempting to think that becoming boy or becoming girl is what’s wrong. It can be tempting to think that if you could just stop yourself from being boy or from being girl, things would be better. This is very tempting, especially if you have friends who question their gender identity. Especially, if those friends look down on people who aren’t trans, gay, or pan. If this is you, you are in a difficult place. Becoming boy and becoming girl is hard. A quote from a very important movie of my time is: “Life is pain. Anyone telling you different is selling something.” (And if you don’t know that quote – you should stop reading this blog immediately and watch The Princess Bride on whatever device you have in your hand.) If you have trouble with your gender identity in puberty, be comforted – you are among friends. Are you transgender? Since I don’t know you, I certainly cannot say. But if you are in that difficult place where being transgender feels right, press pause for some moments. Feel the pain that you’re feeling. Try to figure it out and do something with it, something that brings good. I believe you can do it.